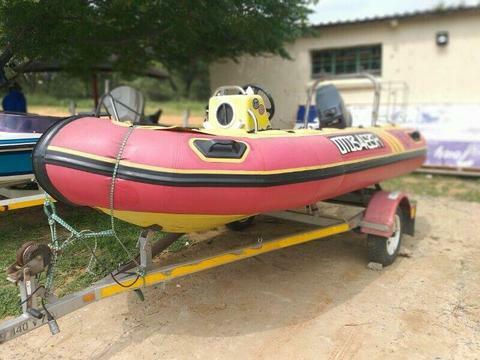 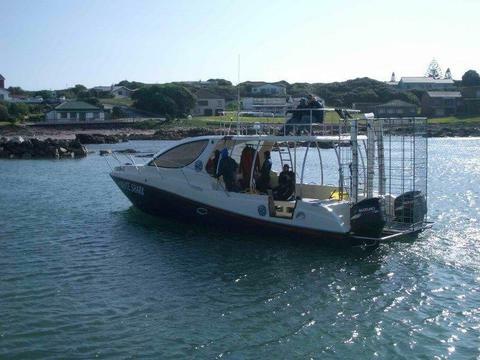 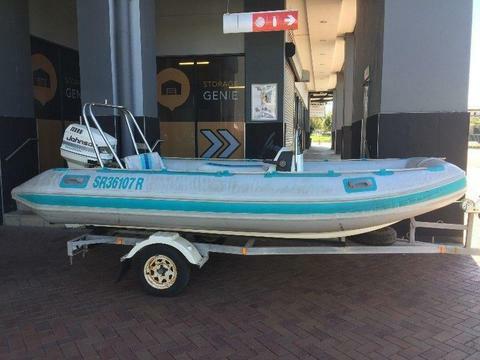 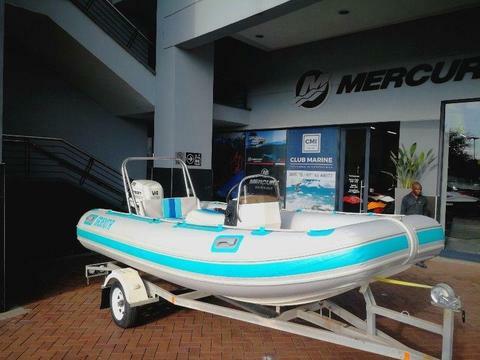 Ex Shark cage diving boat for sale, was licensed for 25 people. 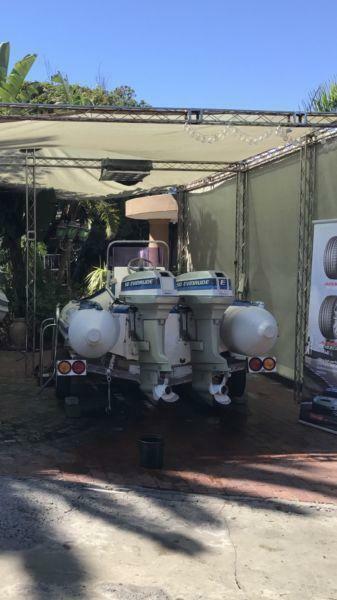 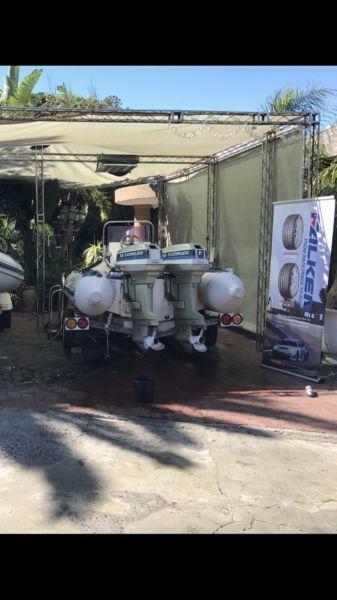 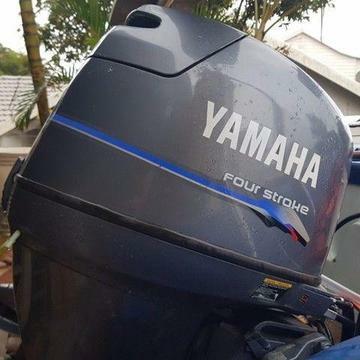 2 x 300Hp Suzuki +- 600hrs in running condition. 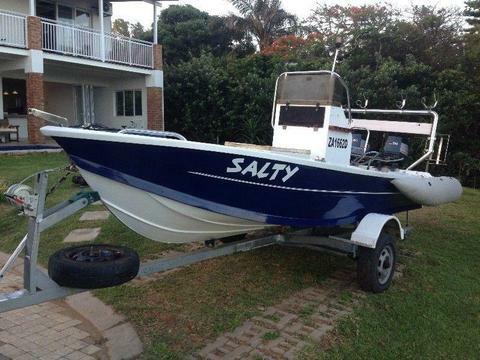 Ideal for a new charter business.